The Eredivisie season kicks off this Friday night and Will Burns is on hand with his thoughts on the nine months ahead. The people of Eindhoven were worshipping De Graafschap on the final day of the season back in May, as the Superboeren prevented Ajax winning their 34th Eredivisie championship title. This campaign, the 60th anniversary of the Dutch top flight, will struggle to repeat a memorable story to match last season’s climax but Philip Cocu will not be complaining as I see them retaining the league title for the third consecutive year a lot easier than last. Again for the big two, it has proven a summer of departures as PSV has lost Jeffrey Bruma to Wolfsburg while Maxine Lestienne and Marco van Ginkel have returned to their parent clubs after a season long loan deals. However, Cocu has completed a great piece of business and re-strengthened the defence with experienced German stopper Daniel Schwaab on a free from Stuttgart. Rumours are afoot that Jetro Willems and Jeroen Zoet could leave before the window closes at the end of the month but PSV have suitable back-up in Simon Poulsen and Joshua Brenet at the left-back position, while Hidde Jurjus has been recruited from De Graafschap for in-between the sticks. In addition, the money pot is bursting at the seams if Cocu wishes to restore some quality to the squad. Will this be the year that Steven Bergwijn is unleashed on the Eredivisie? If you have not heard the name… you will by the end of the year! For Ajax, this season will all be about rebuilding as they have undergone major changes over the last three months and look to be slap bang in the middle of a transitional period. Frank de Boer has been replaced by former Vitesse boss Peter Bosz as first-teamers Arek Milik, Ricardo van Rhijn, Viktor Fischer and Mike van der Hoorn have followed out of the door. Bosz will be relying on youth to step up the plate and the Amsterdammers have plenty in defence to cover but attacking options are thin. Again, like the reigning champions, they have plenty in the coffers to recruit – time will tell if they will. 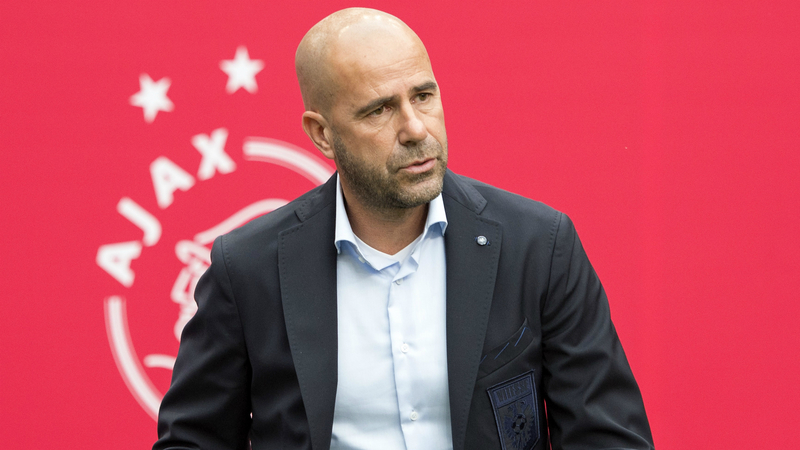 For their leader Bosz, I fail to see him inspiring this Ajax side to honours over the next nine months. The side I see challenging the closest for PSV’s crown this year is Feyenoord led by former Rangers, Arsenal and Barcelona defender Giovanni van Bronckhorst. Extending the stay of Dirk Kuyt was the best piece of the business this summer and the additions of Watford’s Steven Berghuis and Danish winger Nicolai Jørgensen has bolstered the creativity in attack with Lex Immers leaving for Cardiff seen as the only real casualty. The Rotterdammers have been way overvalued in the betting markets and I really think they could pip Ajax to second place. Get on Feyenoord each-way at SkyBet at a massive 12/1. Until the window closes all three have potential to work on their squads but it looks like PSV look best equipped to retain the shield for the three-peat best priced with 888Sport at 5/4 and I envisage Luuk de Jong clinching the Golden Boot now that the Dutch goal-machine Vincent Janssen has crossed the North Sea to join Tottenham. De Jong is a short price but rightly so at 5/6 with 10Bet. If you are looking for an each-way bet in the goalscoring stakes, Janssen’s replacement at AZ Alkmaar, Wout Weghorst is priced up at 14/1 with Unibet.